Jeep owners are faced with so many options these days and it is usually the name that sets one apart from the rest. With a Yukon Gear Master Ring and Pinion Overhaul Kit you can rest assured that you will have everything you need during your next Dana 30 differential upgrade or swap. You will also have a name that assures you have the best quality parts that have been rigorously engineered and tested to handle the most demanding conditions that Jeeps experience. Yukon Gear also offers a kit complete with your choice of gear ratios for the ultimate in one-stop differential upgrades. 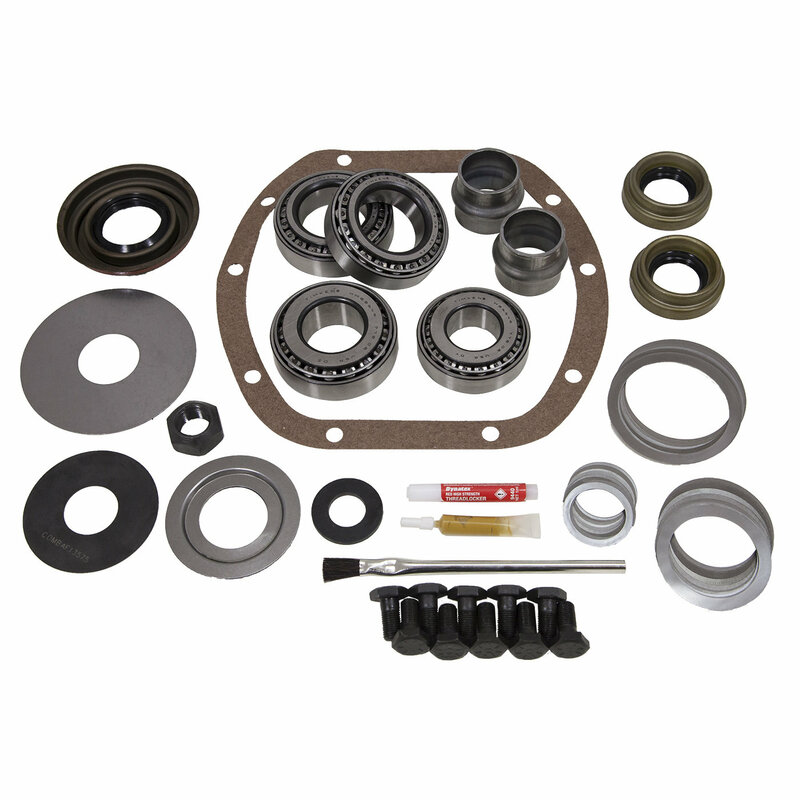 Timken Bearings & Races: This overhaul kit uses high quality Timken Bearings and races in conjunction with premium seals and small parts. Giving you durability and strength having confidence for the Jeep explorations and many years of abuse. Whether you are on the street or hitting the trails Timken is the brand you need and want. Precise Jeep Fitment: The premium Yukon brand offers a quality product that is specific to your Jeep Wrangler TJ and Cherokee XJ with Dana 30 front axle. Making this a complete kit that is all inclusive and provides everything needed for a proper installation. Yukon Gear & Axle has done extensive research and development to provide an installation kit that is nothing but perfect for your Jeep. Making for a smooth installation process that is hassle free. Please Note: This Overhaul kit includes 3/8" ring gear bolts. The 03-06 Jeep Wrangler TJ used 7/16" ring gear bolts, so it will require the purchase of YSPBLT-027 spacers for installation (Quantity 10).